Attention Parents! Join us tomorrow(Thursday) at 4:00 PM at the YC for a fun and educational K9 Demonstration by Westchester County Police. Great for ALL ages! 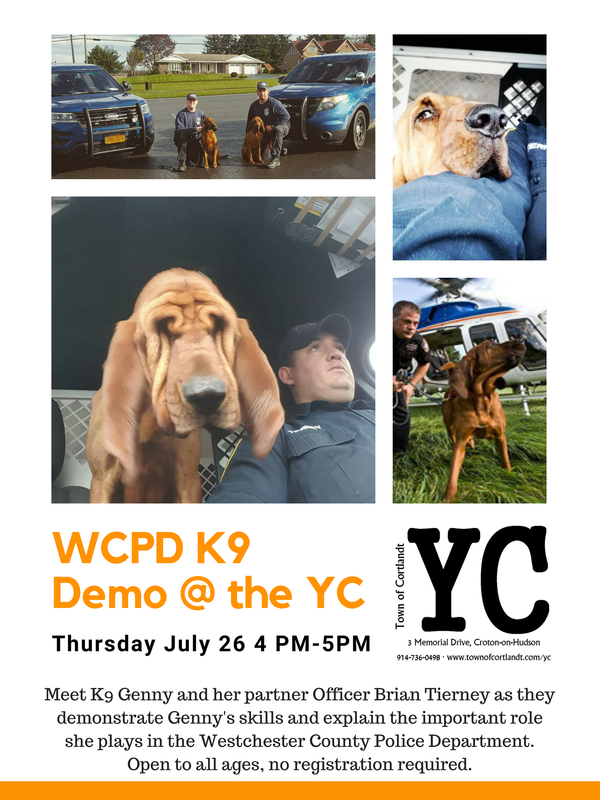 Don't miss this fun, interactive and educational demonstration by Westchester County Police Officer Brian Tierney and Genny, his trusted K9 partner! This event is wonderful for families with children of ALL ages. See you at 4:00 PM at the Cortlandt Youth & Recreation Center.